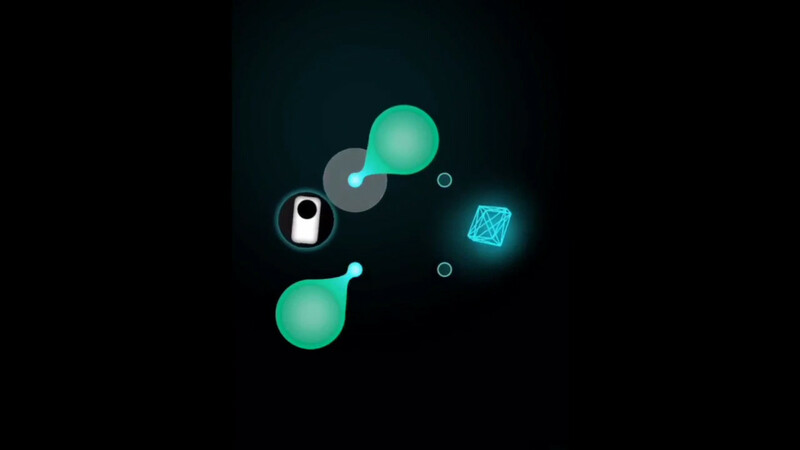 This puzzle game provides a mix of challenge and elegance. 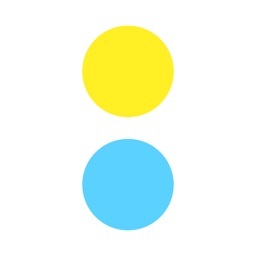 In Loop:puzzler, just hold down on the anchor to rotate the orb and release when you reach your desired spot. 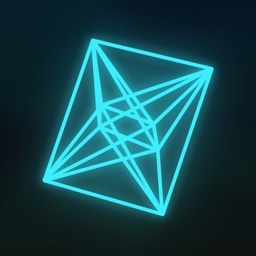 This will also move Loop, so your goal is to guide the robot to the bright tesseract. 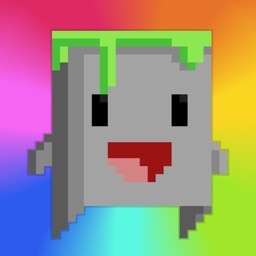 The game offers 100 challenging puzzles, 14 achievements, and five Game Center leaderboards. Tap and hold to rotate. Each energy orb can attach to anchors when turned. Just hold down on the anchor to rotate the orb and release when you reach your desired spot. 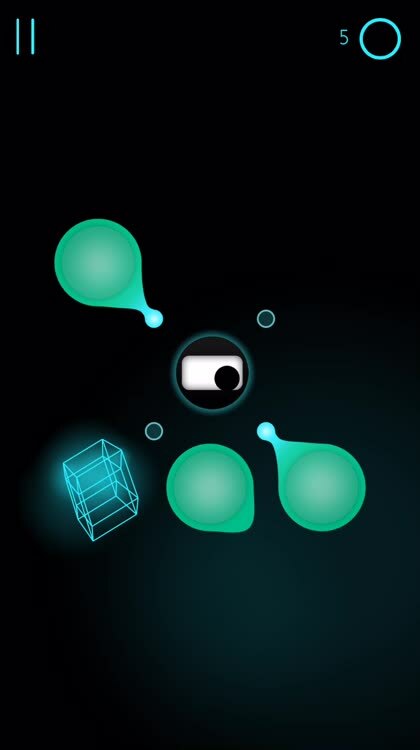 This will also move Loop, so your goal is to guide the little robot to the bright tesseract. Watch the move dial. 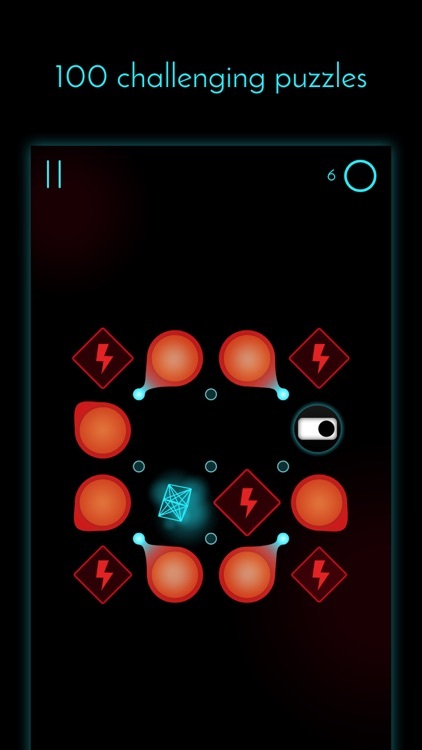 You have a limited number of moves to help Loop and to complete the level. So, keep an eye on the move dial at the top of the screen. If you run out of moves, you will have to begin the level again. 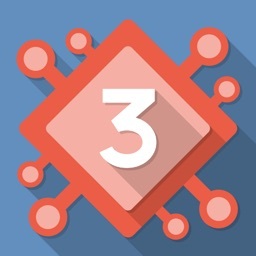 The game offers 100 challenging puzzles, 14 achievements, and five Game Center leaderboards. 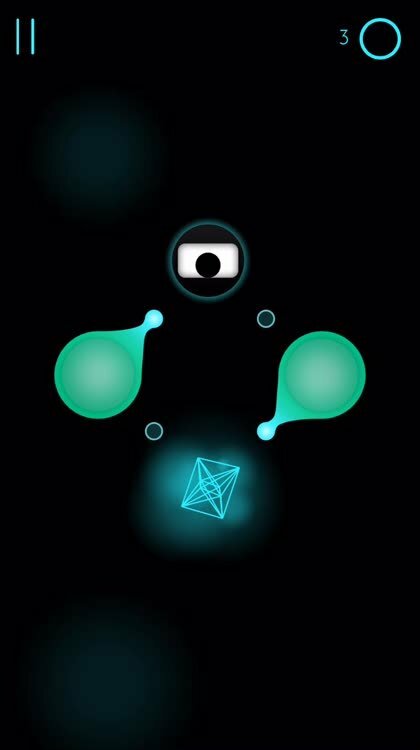 From Base 12 Innovations comes an elegant puzzler with challenges in a new dimension. In Loop:puzzler, your goal is to guide a lost robot named Loop to his home planet. To do so, you will rotate the green energy orbs to direct Loop to the tesseract. With each successful level you complete, Loop is one step closer to home. 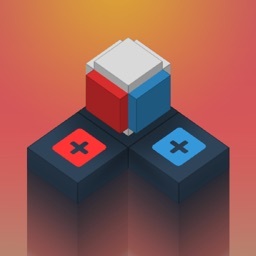 Loop:puzzler is simply a pleasure to play. If you are a puzzle fan, you will enjoy the challenging levels, minimalistic yet polished graphics, and the engaging acoustic musical soundtrack. Loop is a thoughtful robot, sent from his home planet on an observational mission. 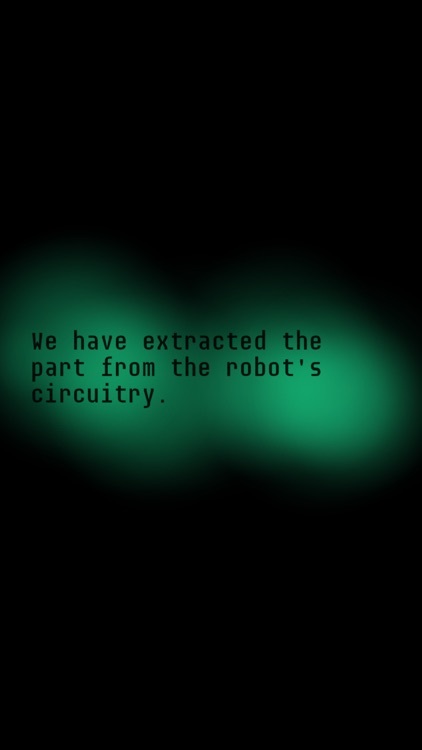 But before he could begin his exploration, the Institute captured him and removed a vital part of his circuitry. Help Loop navigate the strange rooms of the Institute, using green energy orbs to pivot your way into the ever-morphing tesseract. Unravel the threads of Loop's past. Shape the fate of his civilization. You're invited to a new dimension of minimalist puzzle games. This is a dimension in which 100 mind-bending puzzles intersect with the poignant story of a lost robot. A dimension where a hauntingly beautiful acoustic soundtrack underscores the mysteries behind the shadowy Institute. 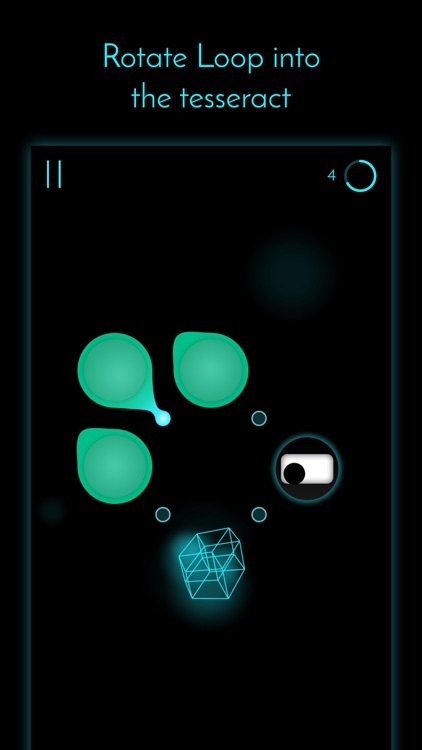 loop:puzzler is a game in which words are powerful, a game in which vision becomes action. 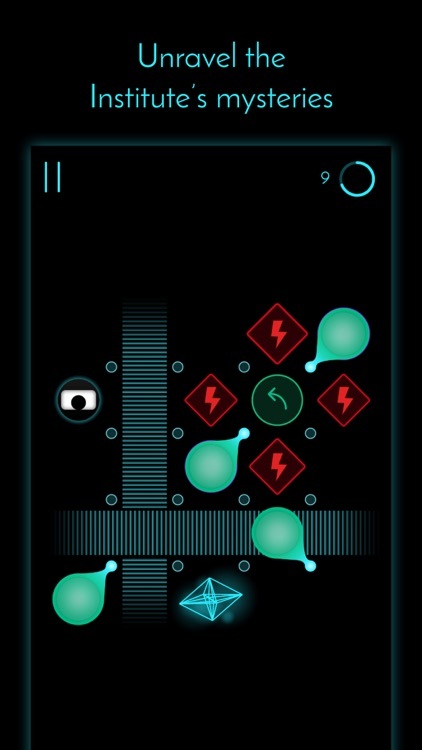 loop:puzzler will challenge your mind like never before. It will demand you to look at its flat world, and to dig deeper into its resounding depths. loop:puzzler is for those of us who aren't content merely to observe. For those of us who ask questions and journey far to seek answers. 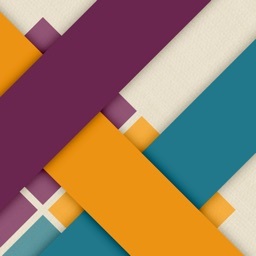 And of course, loop:puzzler is for all of us who love a good puzzle. This is the minimalist puzzler you've been waiting for. The first chapter of Loop - "the archive" - is completely free. After 25 levels, you will be asked to make a small in-app purchase to unlock the remainder of the game. This supports the continued development of Loop.